A 1-minute walk from Pratunam Market, Pratunam Park Hotel provides easy access to the shopping malls in Bangkok City. 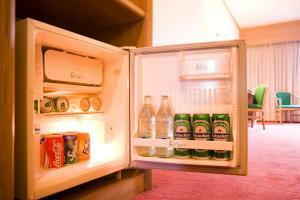 It features free Wi-Fi, a restaurant and non-smoking rooms with a TV. Hotel Park Pratunam is a 5-minute walk from Platinum Fashion Mall and Pantip Plaza. MBK Shopping Mall and Siam Square are a 20-minute walk away. Modern air-conditioned rooms come with warm lighting and large bay windows that offer views of the city. 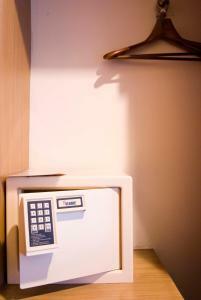 Each well-appointed room has a safe, minibar and seating area. A bathtub, shower and hairdryer are in the en suite bathroom. Available for all-day dining, the cosy Tamnan Thai Restaurant serves international dishes and beverages. Room service is also provided. With a 24-hour front desk, the hotel provides shuttle services. Day trips and sightseeing arrangements can be made at the tour desk. Air-conditioned room features a TV, minibar and bathtub. Rate: THB 2190.00 ... THB 2590.00; select dates below to get current rates. Air-conditioned room features a TV, minibar and bathtub. Connecting rooms are available upon request.